Chelsea striker Michy Batshuayi is on his way to La Liga side Valencia. 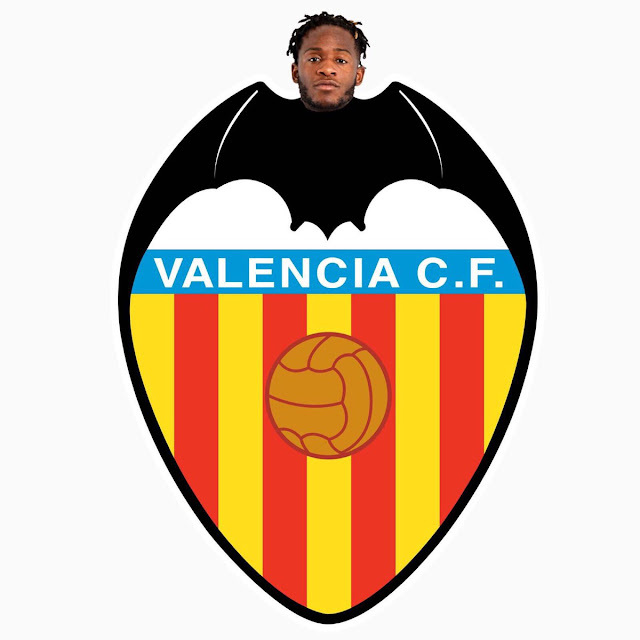 Valencia announced the move with some dope "bats" effects and a simple caption "Un nuevo murciélago llega a Valencia..." When translated, it means "A new bat arrives in Valencia..."
Michy Batshuayi's popular nickname is "Batsman", while Valencia's official logo carries a bat, this makes this move a perfect deal for branding and the La Liga side have milked this in a dope way. Like some have said this could be a match made in heaven. Batshuayi would hope he can score a handful of goals in Spain after spending the 2nd half of last season with Dortmund. Moving to Spain shows his ambition for regular playing time which is not promised under Sarri at Chelsea. The Chelsea manager is still building his team, Batshuayi's extra weeks off after the World Cup have given the Italian manager not enough time to access him and other World Cup stars. Chelsea will play their first Premier League match this season tomorrow at Huddersfield by 3pm.